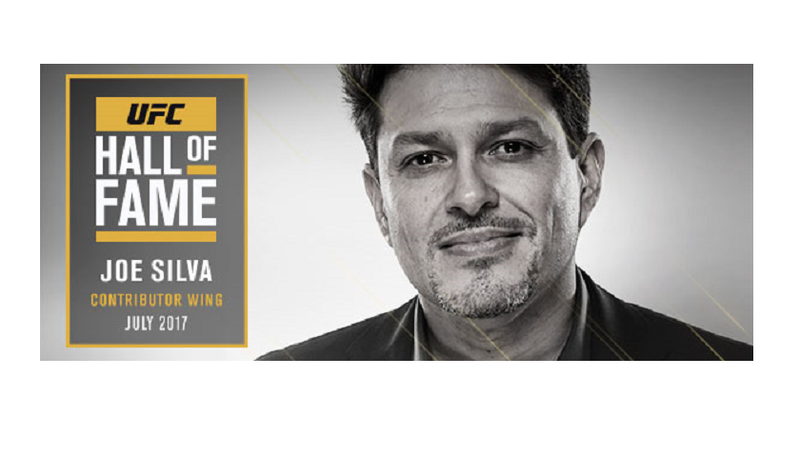 Las Vegas – UFC® today announced that long-time executive Joe Silva has been named to the UFC Hall of Fame class for 2017 as a Contributor. The 2017 UFC Hall of Fame Induction Ceremony will take place on Thursday, July 6 in Las Vegas. The event will be streamed live and exclusively on UFC FIGHT PASS®. A life-long martial arts enthusiast, Silva’s enormous contributions to the global brand and the sport of mixed martial arts began in 1994. As an early fan, he called UFC’s offices on a whim and offered his unsolicited advice on how the promotion could improve. Following this fortuitous phone conversation, executive leadership from Semaphore Entertainment Group (SEG) – owners of UFC at the time – recognized Silva’s passion and were equally impressed by his extensive knowledge of the martial arts. Shortly thereafter, in 1995, the Richmond, Virginia native would become a UFC consultant and later a key member of the staff. A veracious reader, Silva utilized his time by studying all martial arts, which allowed him to incorporate his unique perspective to enhance the UFC experience for both the athletes and fans during the brand’s infancy stages. This also played a role when he worked in conjunction with UFC Hall of Famer Jeff Blatnick and referee John McCarthy to co-develop the first UFC rulebook, which later became the foundation for the Unified Rules of MMA that were established in 2000 and are still in use today. Following UFC’s sale to Zuffa, LLC in 2001, new UFC President Dana White asked Silva to stay on board and serve as the brand’s head of talent relations. His first official event leading UFC’s talent relations took place on Friday, February 23, 2001 at UFC® 30: BATTLE ON THE BOARDWALK in Atlantic City, New Jersey. During his 16-year tenure at UFC under Zuffa ownership, Silva is credited with numerous behind-the-scenes innovations that have helped shape the sport of MMA and how combat sports promotions operate in their respective markets or countries around the world today. One of his most notable accomplishments came in 2004, when he was a member of an executive leadership team that created the format and selected the participants for season one of The Ultimate Fighter®. The sports reality series, which has produced more than 30 combined seasons, both domestic and internationally, is attributed with launching UFC into the global mainstream and has become an industry mainstay, with six athletes who debuted on the show becoming a UFC champion in their respective weight classes. As head of talent relations, Silva also laid the foundation of conceptualizing and developing new ways to foster talent to expand UFC’s roster and offer more compelling matchups. Over the course of his career, he was responsible for strategically negotiating more than 3,000 bouts across 340 events worldwide. The remaining inductees of the UFC Hall of Fame class of 2017 will be announced in the coming weeks leading to the 6th Annual UFC International Fight Week™, which takes place from Wednesday, July 5 through Saturday, July 8 in Las Vegas.